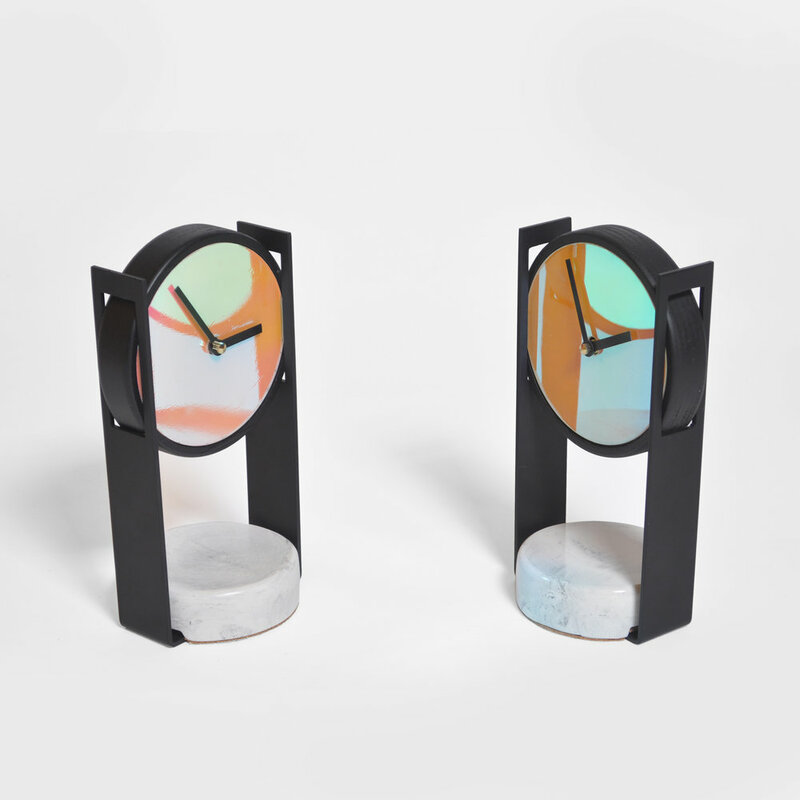 The Color Clock is a great conversation piece that changes color when viewed from different angles; as time is changing, the color of the piece is also changing. 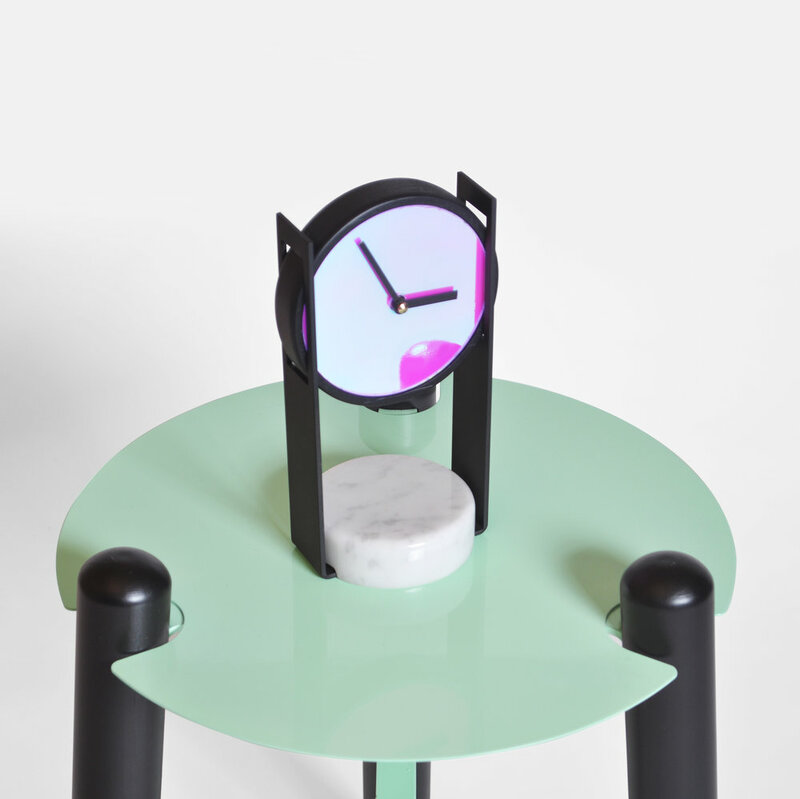 Even though the Color Clock is small in scale it has the ability to brighten up any home. Materials: Marble, Steel, Dichroic Film, and Wood.